In a word, Angelique Kidjo’s career can be described as “original”. She is one of a kind. So far, she has three Grammy Awards to her credit with 8 nominations, while The Guardian has recognized her as one of the world's 100 most influential women, and Time magazine has named her as "Africa’s Premiere Diva." After exploring the roads of Africa's diaspora — through Brazil, Cuba and The United States — and offering a refreshing and electrifying take on the Talking Heads album Remain In Light (called “Transformative” by the New York Times, “Visionary” by NPR Music, “Stunning” by Rolling Stone, and “one of the year’s most vibrant albums” by the Washington Post), the French-Beninese singer is now reflecting on an icon of the Americas, celebrated salsa singer Celia Cruz. 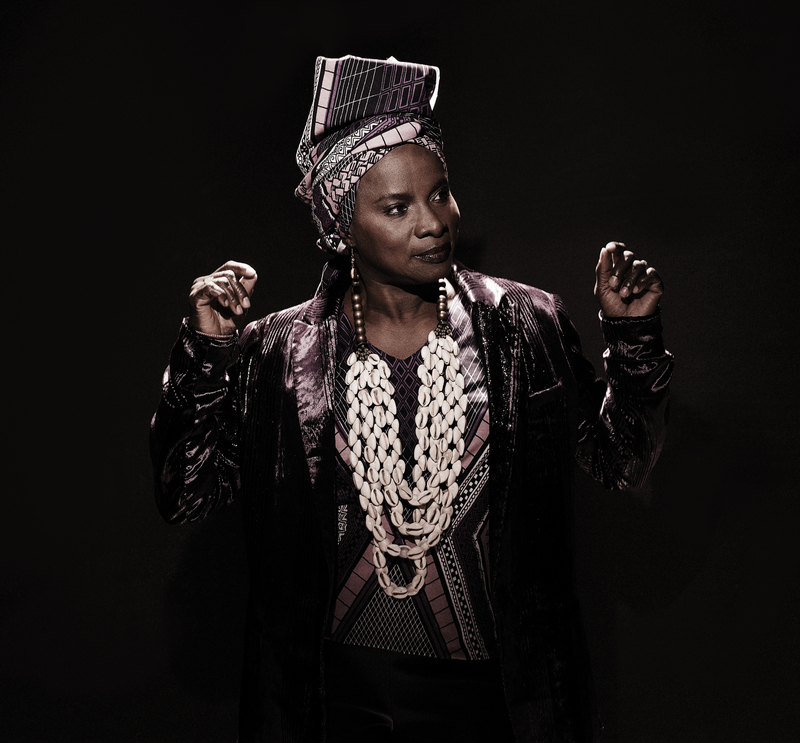 Over ten tracks, Kidjo’s album Celia divests itself of the glamour to investigate the African roots of the Cuban-born woman who became the "Queen" of salsa, a music genre invented in New York by Caribbean immigrants. Born in Havana in 1925, Celia Cruz, a black woman, left Cuba with her first group La Sonora Matancera in 1959, when Fidel Castro toppled the dictator Fulgencio Batista from power. Celia Cruz, known for her aversion to the Castro regime, would join Tito Puente's orchestra in 1966, and her recordings for the Fania label helped to construct the legacy of salsa, the American "melting pot" in which Spanish-speaking immigrants borrowed from the intricacies of Afro-American jazz and vice versa. Angélique Kidjo lived through the Cuban tidal wave while still in her native Benin, West Africa. Cuban music — beginning with the rumba, the son and the cha cha cha — had been nurtured in voyages back and forth between the shores of the Atlantic. The music had boarded the same boats as slaves, returning from the Americas on merchant ships to establish itself in the sixties, thanks to exchanges that took place between West African post-colonial governments and their Cuban comrades. The Congo's rumba took flight, and the salsa permeated the orchestras of West Africa. When the young Angélique Kidjo went to see Celia Cruz sing with Johnny Pacheco at a concert in Cotonou, she had the feeling she was on familiar ground. Many years later her path crossed Queen Celia in a Parisian theatre where she was singing Quimbara, a song composed in 1974 by Junior Cepeda from Puerto Rico. Angélique could hear African percussion in the voice of Celia Cruz. She recognized the structure of the drums played by the Yoruba people, and she could hear the names of Chango or Yémanja, divinities that were common to the sphere of voodoo - Benin, Nigeria, Brazil, Haiti, and Cuba, where the Marxist regime hadn't succeeded in killing the santeria religion. Celia, the singer of a mixed-race people, had the nickname Café con leche, and she opened all her concerts with the cry, Azucar! meaning 'sugar'. 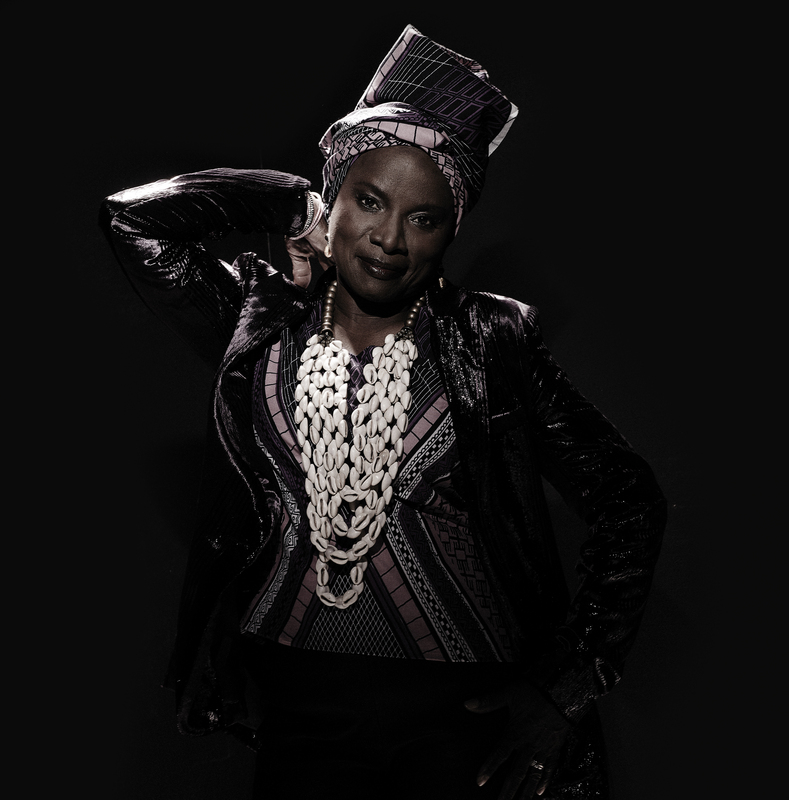 "When I heard her in Cotonou," remembers Kidjo, "I realized what kind of woman we were dealing with!" And indeed, the woman named Úrsula Hilaria Celia Caridad de la Santísima Trinidad Cruz Alfonso (aka Celia Cruz), born in Cuba, held all the cards to seduce a certain Angélique Kidjo, born in Ouidah, the epicentre of the 18th century's African slave trade. Deeply marked by the history of slavery, Angélique Kpasseloko Hinto Hounsinou Kandjo Manta Zogbin Kidjo (aka Angélique Kidjo) today lives in The United States after coming to France in 1983 to escape the dictatorial regime of Matthieu Kérékou. 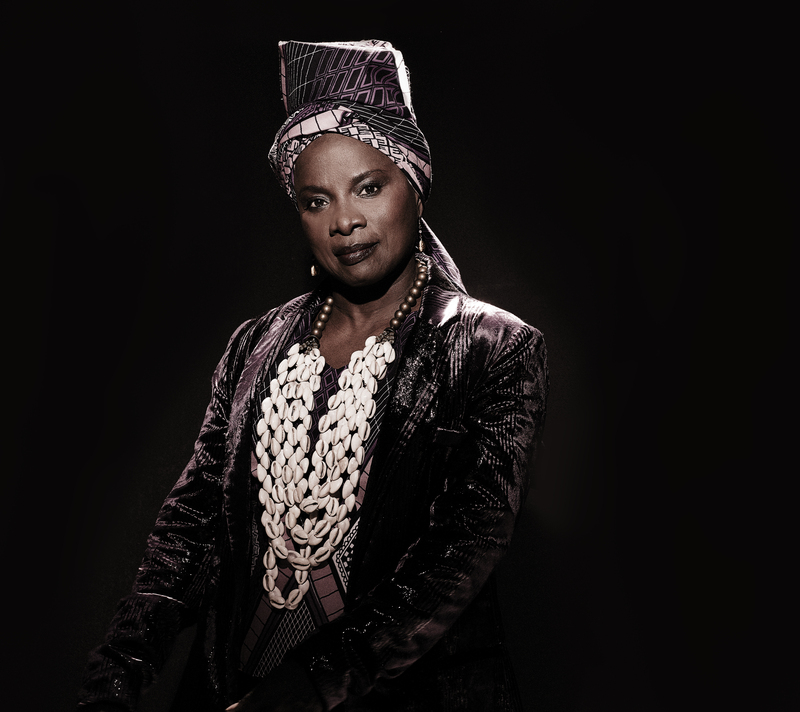 Angélique Kidjo is the heir to Miriam Makeba, an opponent of apartheid who for a long time sought refuge in The United States, and the black activist Nina Simone, who had fled American racism to settle in Barbados, then Liberia and France. Here, their voices join that of Angélique Kidjo. One of Angélique's Grammys was awarded to her in 2015 for her album Eve dedicated to African women, a cause that is central in her art. Proof of that sentiment lies in her choice of the song Blewu, a magnificent ballad by Togolese singer Bella Bellow (1945-1973), which Angélique sang in Paris at the 2018 commemorations of the November 11th Armistice Centenary at the Arc de Triomphe in Paris, in front of some 70 dignitaries and heads of state, most of them male. Back in 2015, Angélique Kidjo was having a conversation with her tour companions, Diana Reeves and Lizz Wright, both of them African-Americans. All three agreed: the mixed-race Caribbean singer Celia Cruz was a woman of strength, having succeeded in uniting an audience that was at once Black, Latin and White, a rare achievement in the United States. And when the summer festival "Celebrate Brooklyn" asked Angélique Kidjo to put a project together, she organized a concert dedicated to Celia Cruz. She has since presented the project on a world tour, including performances at the Hollywood Bowl, Monterey Jazz Festival, Jazz a Vienne, and several other cities across Europe and North America . Angélique wanted to turn her project into an album, and she enlisted the aid of David Donatien, a multi-instrumentalist/arranger and a hit-maker for Yaël Naïm. "I wanted to create an original project that differentiated itself from the usual mysteries of salsa," explains Donatien. "So what I did was to curve the songs of Celia inwards to Africa, and straight away I went in an afro-beat direction with a first title, Quimbara. And then I wanted a brass band sound, and there was one in Benin with musicians that Angélique had worked with, the Gangbé Brass Band. 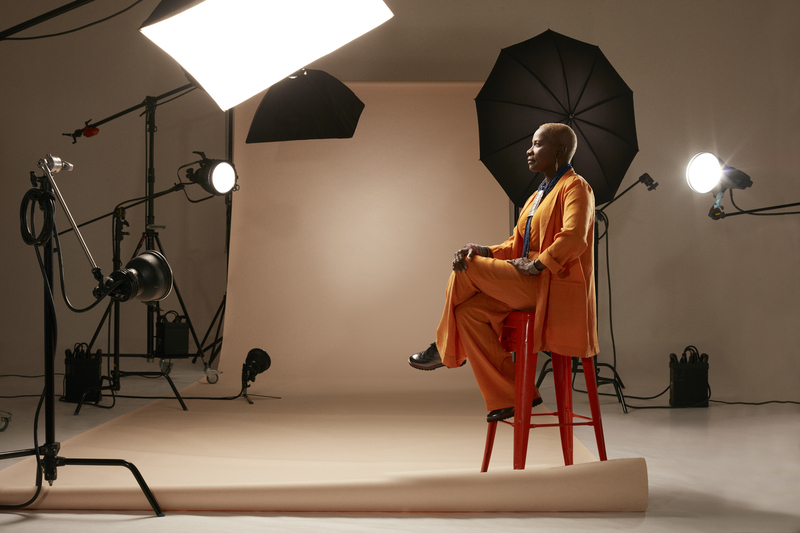 I managed to undo the salsa rhythms and find strong melodies, make them appear differently, and bring all these strong elements together around Angélique Kidjo's personality. What I had to find was the point where Africa crossed into the modern." The result is impressive. It has knowledgeable, seductive attractions: David Donatien has placed Ethiopian music inside La Vida es un Carnaval, a late hit (1998) in the repertoire of Celia Cruz, who passed away in 2003. David also slipped middle eastern music into Sahara, which Eligio Varela Mora composed in 1952. Angélique explains: "I asked David to rummage through the Fifties, when Celia had a very deep attachment for black culture. I wanted to show how constant she was through the different periods of her life in Havana and New York." The album Celia closes with a stylistic exercise, a distillation of the title Yemaya originally written by the Sonora Mantecera's black pianist Ezequiel Frias Gomez. Angélique's vocals and David's percussion compose a tribute to the sea goddess Yemaya — and the drums are juju, in the Nigerian tradition from which Fela borrowed when he invented afro-beat. Under those conditions, it seemed only normal to invite a guest artist in the shape of drummer Tony Allen, the mainstay of afro-beat. Donatien adds: "But I also wanted to add what was modern in Meshell Ndegeocello [a major new-Soul figure who plays bass here] and the very hyped British jazz group Sons of Kemet." The album was recorded in New York and Paris, and mixed by sound engineer Russell Elevado; he is known for his work with D’Angelo, Kamasi Washington and Keziah Jones, among others. Celia Cruz liked glitter, hairpieces and outrageous dresses, and so the sleeve for this album has a photograph of Angélique surrounded with a floral symphony. The illustration is by the Senegalese artist Omar Victor Diop, whose works have been exhibited in London and at the Vuitton Foundation in Paris. Kidjo continues to pursue her alliance with contemporary visual artists — the image adorning the cover of her previous album, Remain In Light, was the work of the man who has spearheaded new African-American painting, Kerry James Marshall. Kidjo’s album, Celia, comes to consecrate another alliance, the same bond between free and sovereign women that the Cuban diva sensed. And Celia Cruz was the same Cuban woman who greeted Angélique with the heartfelt cry, "Mi hermana negra!"